Every time I listen or talk to Diane Meier I get inspired. Today was no different. She inspired me to do a quick search looking for how closely wikipedia articles on serious illnesses align with the current CAPC definition of palliative care. I thought this may be tough, as I was trying to figure out how to judge different definitions of palliative care. I was wrong. Dead wrong. It was shockingly easy as most articles on the ten life threatening illness that I looked up NEVER even mentioned palliative care. The ones that did were mostly talking about palliative chemotherapy or radiation therapy. In people with incurable colorectal cancer, palliative care can be considered for improving quality of life. Surgical options may include non-curative surgical removal of some of the cancer tissue, bypassing part of the intestines, or stent placement. These procedures can be considered to improve symptoms and reduce complications such as bleeding from the tumor, abdominal pain and intestinal obstruction. Non-operative methods of symptomatic treatment include radiation therapy to decrease tumor size as well as pain medications. In people with terminal disease, palliative care or hospice management may be appropriate. These approaches allow additional discussion of treatment options and provide opportunities to arrive at well-considered decisions and may avoid unhelpful but expensive care at the end of life. Chemotherapy may be combined with palliative care in the treatment of the NSCLC. In advanced cases, appropriate chemotherapy improves average survival over supportive care alone, as well as improving quality of life. With adequate physical fitness, maintaining chemotherapy during lung cancer palliation offers 1.5 to 3 months of prolongation of survival, symptomatic relief, and an improvement in quality of life, with better results seen with modern agents. The NSCLC Meta-Analyses Collaborative Group recommends if the recipient wants and can tolerate treatment, then chemotherapy should be considered in advanced NSCLC. "Radiotherapy may be used in the adjuvant setting or for palliative treatment of cholangiocarcinoma"
10. Alzheimers Disease: the word palliative was mentioned twice, both times referring to available treatments offering "relatively small symptomatic benefit but remain palliative in nature." I'm planning to work with folks at CAPC and AAHPM (through the External Awareness Committee) to fix this. If you are interested in joining us, please email me. This will need to be a group effort! It’ shocking to see what you’ve found but inspiring to hear of plans to update it. For the Natural Death Centre charity I regularly update the ‘Natural Burial’ wiki page and once you’ve done a couple of updates it becomes easy and fairly quick. I’ve found the Wiki guides straight forward to follow. Now as you’re on a mission to promote access to information and credible information then whether you would consider promoting ‘open access’ to academic papers for the public via @OA_Button which has just been launched. Before you "fix" this, you should announce your intentions at WikiProject Medicine. 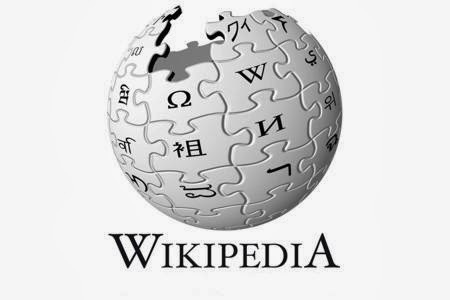 There you can find people experienced with writing medical articles on Wikipedia who can help. On Wikipedia, there are very strict referencing requirements for medical articles. Interesting the NSCLC mentions 1.5-3 month survival advantage with palliative chemotherapy, but no mention of a similar result from palliative care consultation as in Temel et.al. I can't say that the conspicuous absence of any sagacious reference to palliative care is the least bit surprising, after all it is not "active treatment", whatever that means, it obviously doesn't include palliative care. If others define the terms, we will never win the debate. I always get a chuckle from asking residents what they are talking about when they say the "patient is palliative". What follows is usually some stammering as they struggle to come up with the distinguishing features of such a label. That's when they say the patient is not for "active treatment". Then I ask them what that means, more stammering; you know, they say, we have withdrawn care. Why would you ever do that? I ask, more stammering. They hear these terms thrown about the hospital and can't really say what they mean, but are thoroughly imbued with the attitude that palliative care is not treatment. I hope your efforts are fruitful. I am happy to help in any way. Cheers! Great post! Shocking, but are we really surprised? I'm glad you looked, now let's change the conversation.